Quail Botanical Gardens is located in Encinitas California, north of San Diego. Situated on a hill near the ocean, the gardens have something for everyone. Their subtropical fruit garden has many interesting varieties of both tropical and subtropical fruit trees. 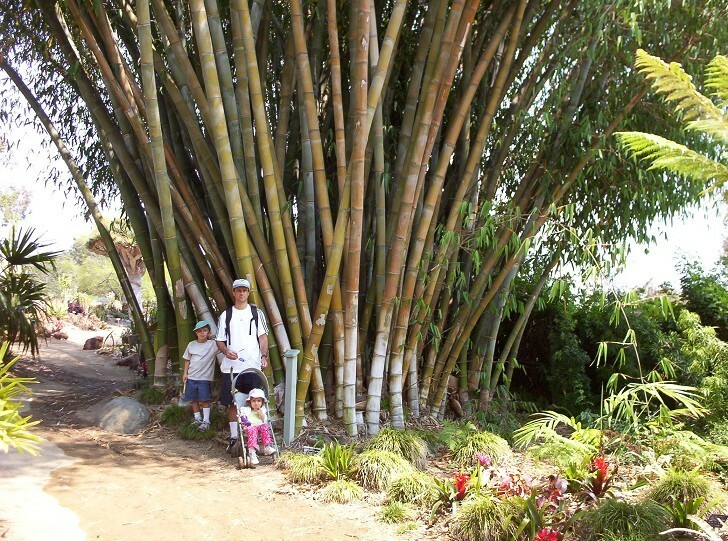 The grounds also include impressive Bamboo Gardens, Succulent Gardens, an Australian Garden, Mediterranean Gardens, a Mexican Herb Garden, and a Tropical Rain Forest Garden. The following photos were taken in the middle of August 2007. The stand of Giant Tropical Bamboo shown above is located on the west end of the garden and is truly impressive. Bamboo is a type of large grass. Giant Tropical Bamboo is a clumping variety.